I recently read an article on Student Voices begrudging the Liberal Democrats for sticking to our principles and voting against Article 50 and I wanted to respond to that article. The headline reads ‘Illiberal Democrats’, a questionable headline to say the least. Is not liberalism about giving people a choice? Instead of resigning to a hard Brexit that we do not know if people voted for, we want to give them a choice of soft Brexit, hard Brexit or perhaps no Brexit at all. 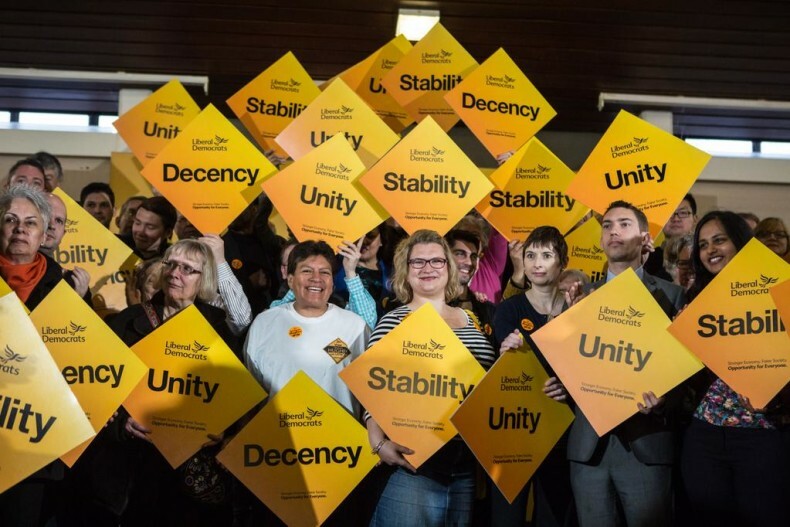 It would have been more potent, but no less incorrect to call us Liberal Undemocrats, a favourite of the Knights of Social Media. Democracy is not a singular process; we do not all suddenly change our beliefs and values the minute a vote has been cast; it would be dishonest to do so. That is why it is important for the Liberal Democrats, a party that has always been unashamedly pro-EU membership, to continue to call for such things. Fates are fickle in politics, public opinion changes in 1 week, let alone in the 2 or more years it will be since the June referendum that we actually leave the Union, and thus a referendum on the terms of exit is necessary for the health of democracy. If during the referendum the Leave campaign had been clear about what Brexit would mean and what it would look like, then perhaps we could avoid the need for a referendum on the terms of exit entirely. Yet this is not the case. We had calls to adopt the Swiss, Norwegian, Canadian and even Albanian model for relations with the EU post-Brexit, but no one on Leave or Remain was quite sure which one. We had calls for an end to free movement, yet retain Single market membership, and that’s not to mention the 350 million a week our NHS is going to get post-Brexit. 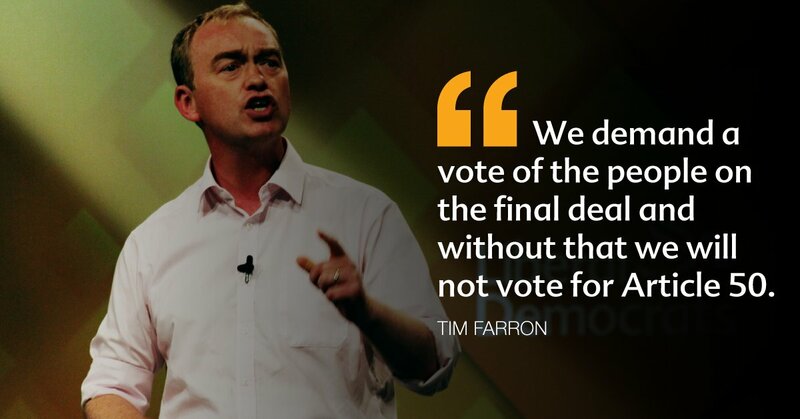 That is why the Liberal Democrats are campaigning for a referendum on the terms of exit, because the people who voted Leave simply did not know what they were voting for, and those 16.1 million people who voted Remain certainly did not vote for the Hard Brexit we are pursuing. I will say now if Theresa May and her Three Brexiteers manage to secure a deal that fulfils the four central promises of their campaign I will vote for that deal to come into force. These four promises were; controls on migration, increased funding for our National Health Service, no major hit to our economy in the long term and no contribution to the EU budget. If these promises are kept then you’d be a fool to not accept it, it would reunite our disunited Kingdom. But, as the Brexiteers were well aware all throughout the campaign, getting such a deal is more a story for Narnia than the United Kingdom. That is why we Liberal Democrats are campaigning for a referendum on the terms of exit, to attempt to prevent the devastating Brexit that the fantasists; I mean Tories, are pursuing. The UK enters the negotiations from a position of strength. The UK has a trade deficit of approx 70 billion pounds with the rest of the EU. Thousands, if not millions of jobs in other EU member states depend entirely on this surplus and it's continuation. The threat of having the UK just walk away and impose WTO rules is too great to bear, especially with elections in France, Germany and Holland later this year. That's if the EU even lasts that long. The latest round of toxic Greek debt is up for renewal. The fuse is lit and the timers ticking.